For the cover artwork they turned to the UK born, US based “pop-art” artist Michael Gillette. His designs feature “bond girls” on the cover with the title written as body art. This may have been inspired by the Pan paperback “movie” edition of Casino Royale from the 1960s. 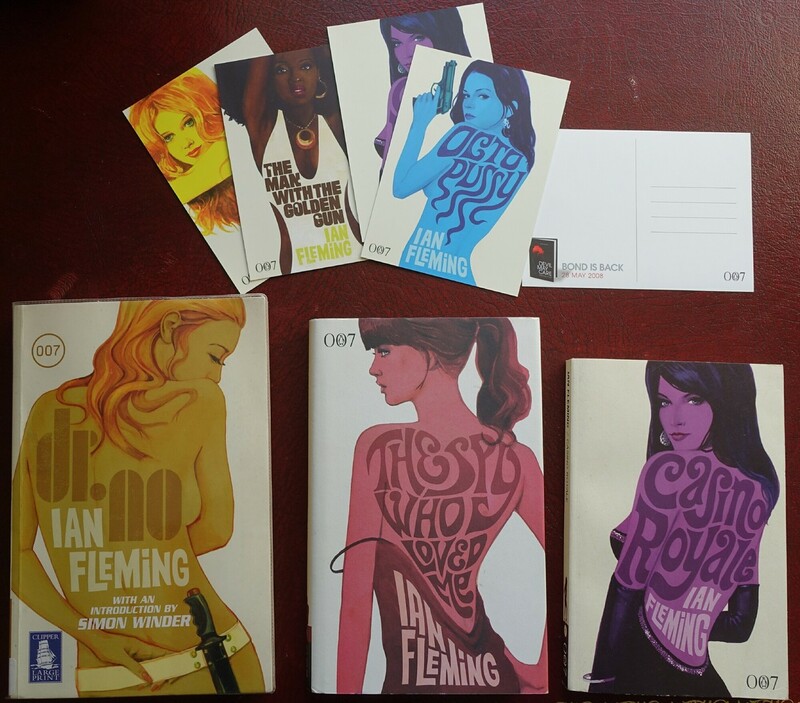 The different colours, designs of text and of course the different bond girls work brilliantly well as a set yet each one manages to reflect the individual story of the book. The appeal / popularity of the artwork has seen it re-used many times on different series of books, prints and postcards. Michael Gillette’s artwork has been used on several different hardback and paperback editions of the Fleming novels issued both in the UK and overseas. The first mistake to avoid is not buying one of the German language versions some of which have nearly identical dust jackets. 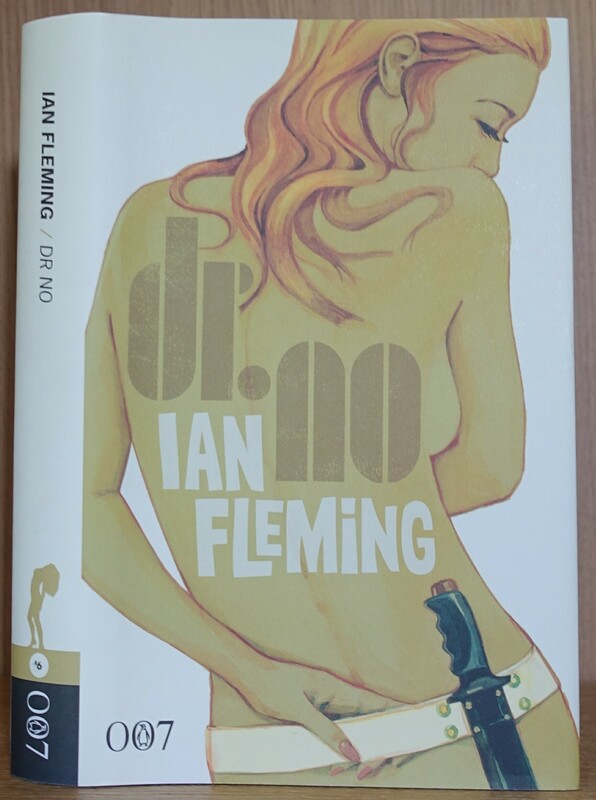 If looking at a photo of a book for sale online there should be the penguin symbol in the second “0” of the “007” logo. Assuming you have found a UK hardback for sale then you need to check its a first edition book and first edition dust jacket. The back of the first edition dust jacket says 2008 Centenary Edition at the top whilst later editions say First Published in 19xx.. There are 2 different editions of the book with only one minor change on the title page. The first edition says 1 and the second 2. I suspect Penguin printed more 1st edition dust jackets than books as its common to come across 2nd edition books with first edition dust jackets, for this reason you need to check both book and jacket. 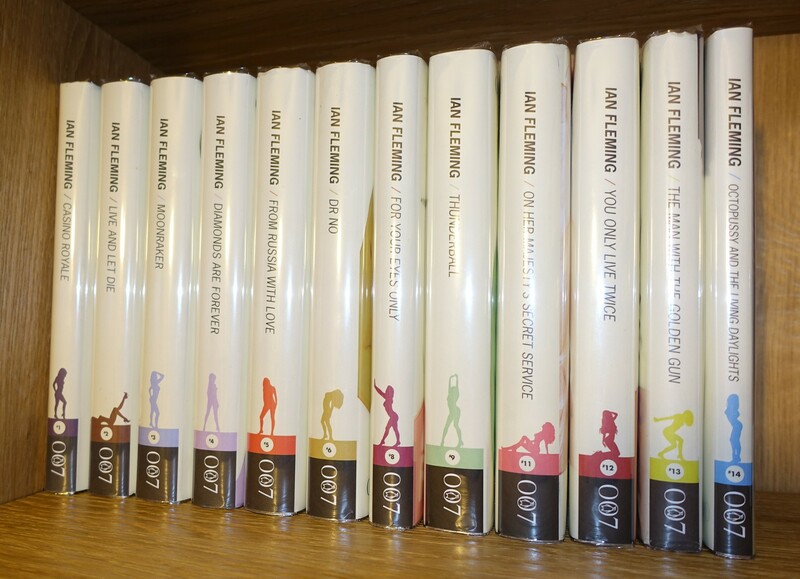 The books were originally supplied sealed in plastic. Unopened examples are rare and command a slight price premium, there is of course the issue that without opening them you will never know if the book is a 1st edition or second! As you can see this set is nearly complete - if you have any of the missing titles still sealed in the original plastic please do get in touch. Unusually dust jackets are printed on a white, thick, slightly rough paper similar to cartridge paper. This makes them a magnet for finger marks and other dirt. Careful use of a gum eraser will usually remove the dirt without damaging the paper and fitting a protective jacket (brodart or similar) will avoid future damage. Cross Cult versions of the books from Germany have similar artwork. The image shows (left to right) the large print paperback, Penguin hardback and Penguin paperback. A set of 5 postcards is at the top, I do not know if only these five were printed or whether a random selection was put in each book. If money is no object then visit the Michael Gillette website with your credit card where you can purchased signed limited edition prints of the artwork. His pencil squeezing blog also has some interesting background on the artwork. Visit the Penguin Centenary Image Gallery for high resolution images of each of the books.